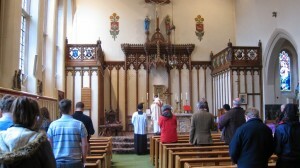 The Durham Juventutem Chapter is organising a Low Mass in the (Latin) Dominican Rite at St Cuthbert’s at noon on Saturday 30 January. All are welcome. For more information contact Andrew McDowell: admcdowell@btinternet.com.